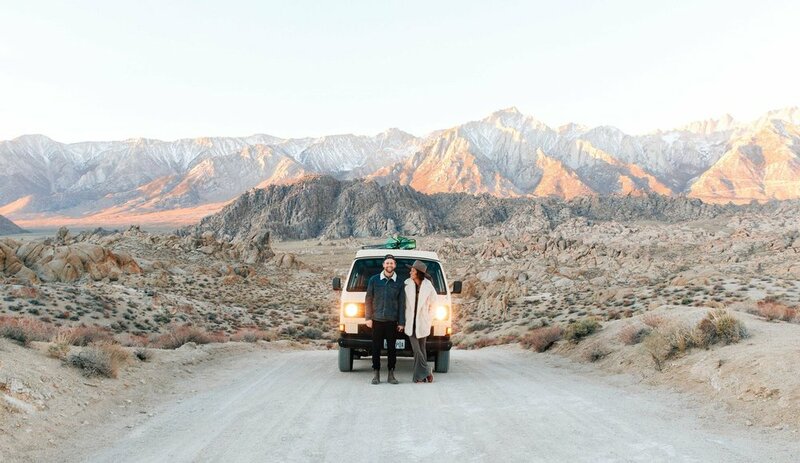 The first stop we made was the Alabama Hills. Famous for it’s majestic backdrop, tons of movies have been filmed here, from westerns to Iron Man. But for us, it was the perfect place to camp for the night. We hopped back on the road in the morning for the next day’s events. We had in mind this hike in Big Pine, but we didn’t know how long it would take so we figured the earlier the better. The place in mind was 7 Lakes, an out and back hike that stretches miles up into the mountains. People spend days backpacking through there, but our goal for the day was to make it to 2nd Lake. Five miles and 4,000 feet elevation later, we made it. The lake was just freezing over, and you could hear the burbling and cracking as the lake gave way to the unrelenting winter temperatures. The final destination was Mammoth. The spot most people flock to for its skiing in winter, something I would normally want to do. But early December is an odd time, too early for good snow, but too cold for summer mountain adventures. 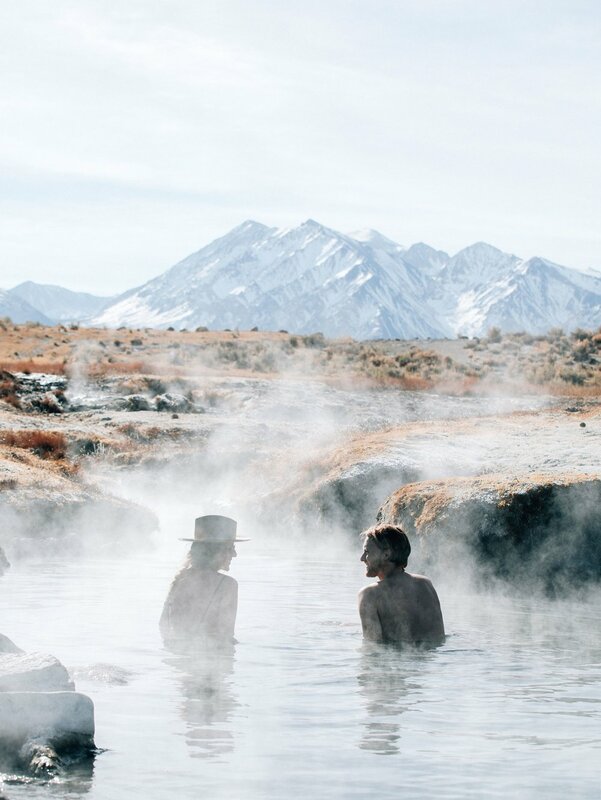 We had just the perfect thing in mind… hot springs. 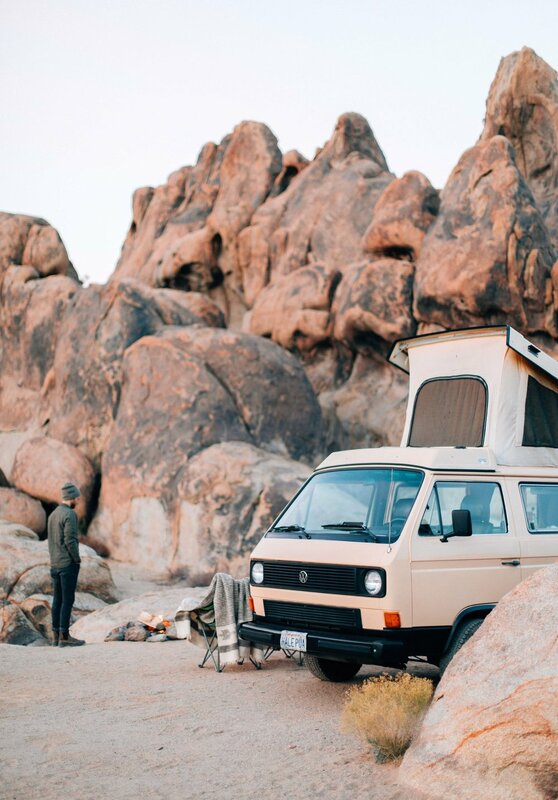 On our way back, we had to spend one more night in Alabama Hills. This is where the heater comes in. Little did we know that compared to the first night we spent there, this night was supposed to be a lot colder. After dinner, we went to turn the propane heater on to warm up the cabin before heading to bed. But it wouldn’t light. We kept trying and trying to no avail, so we thought, maybe we’ll try the van’s heater? Nope. No luck. Needless to say we didn’t warm up that night. We did our best to sleep, but not too long after midnight we noticed we had a little friend join us in the van. Cándida saw it first and gasped. What was it? Then I saw it. A mouse. It had discovered our snacks in the cupboards, and had been going back and forth between the dashboard and snacks stashing it’s newly-found nest behind the radio. After two hours of hunting with a broom to trying and gently sweep it out of the van to no success, cold and exhausted I gave up. I’m pretty sure we fell asleep after that, but I’m not sure. Early the next morning, Cándida, I, and our new mouse friend made our way back down the mountains to Newport Beach. As they say, an adventure doesn’t begin until something goes wrong. It’s true, as it’s the thing I surely will remember years from now and laugh about. If you’re thinking about doing a trip like this, I highly recommend it. Just make sure your heater works, and don’t leave peanuts under the sink for furry creatures to find.